​Youth Village will be doing a bookfair at Barnes & Noble in Destin! This bookfair is a fundraiser for our capital campaign! The bookfair is in store and online. How it works: We get credit for purchases that are purchased in store and online with our special voucher. So that means if you are unable to come to our event in the store you can still help us out by using your voucher with your online purchases on the Barnes & Noble online store! Small stations: Face-painting, Youth Village information booth, Games, Story-time, book signing and more! ​Click here to get voucher! 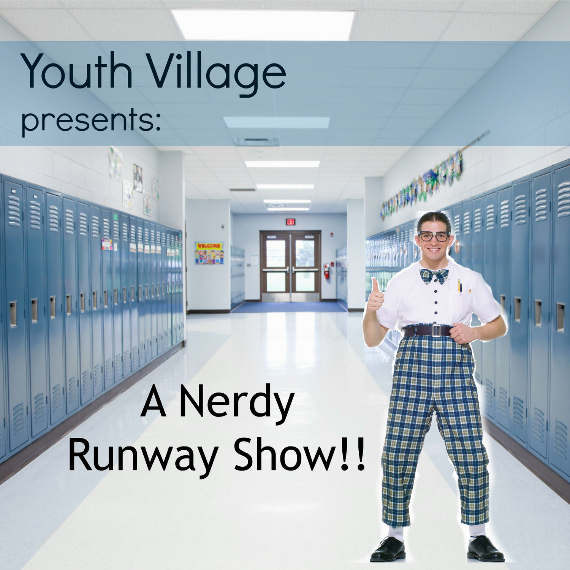 We will have a Nerdy Runway Show at our bookfair! Simply sign-up here. Remember spaces are limited so don't wait too long! No experience necessary! You don't have to be a super model or a super nerd! You just have to be between the ages of 0 and 99 and willing to have fun and be silly for a day! Walk down the runway at Barnes & Noble in Destin! Bring your own nerdy outfit or come already in nerd gear. Please check-in 30 minutes before we start the show. There will be three special guest judges at the event. They will vote for who they think is the best dress nerd.